Motorsport-inspired performance and equipment have turned the top-of-the-range Mercedes-AMG C-Class models into best-sellers. The C 63 now offers even better dynamics as well as a more modern and customizable interior in its Sedan, Coupe and Cabriolet models. The AMG SPEEDSHIFT MCT 9G transmission with wet start-off clutch provides a more agile gearshift response. 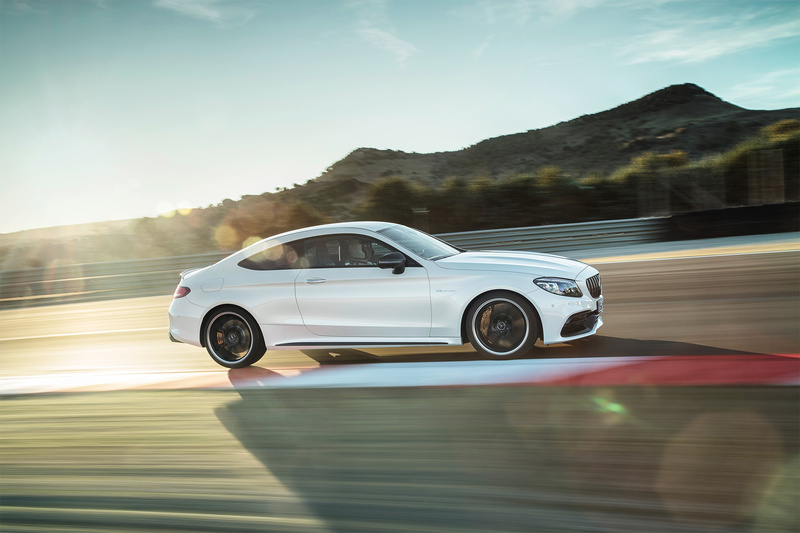 The 4.0-litre V8 biturbo engine delivers performance on a par with that of a sports car. 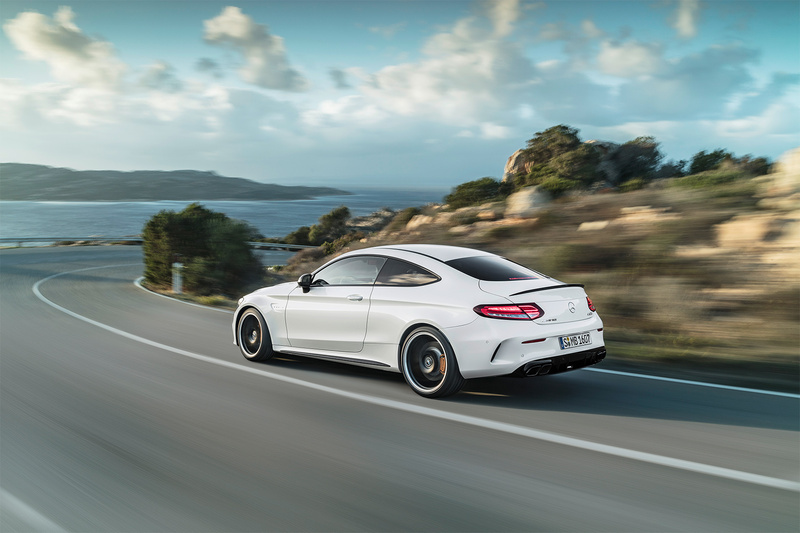 The C 63 S Sedan and Coupe can reach a top speed of 290 km/h (180 mph). 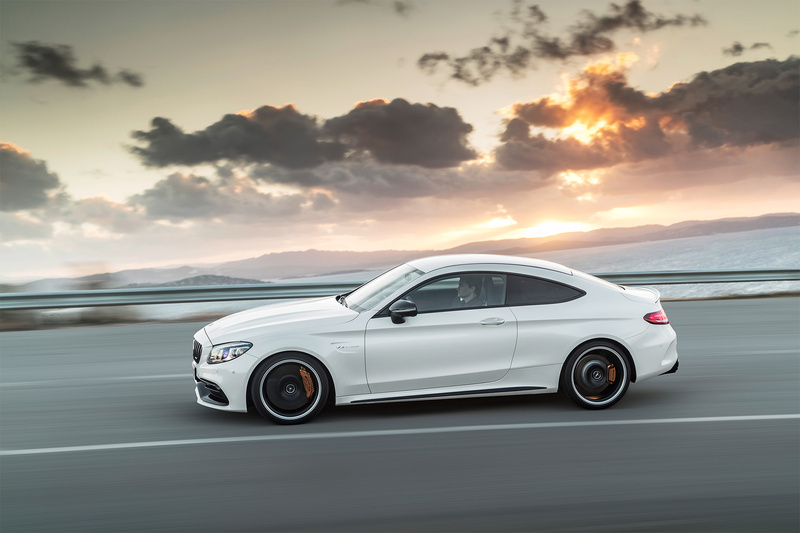 The sedan is available as either a C 63 or C 63 S. The coupe and cabriolet are only available as S models. 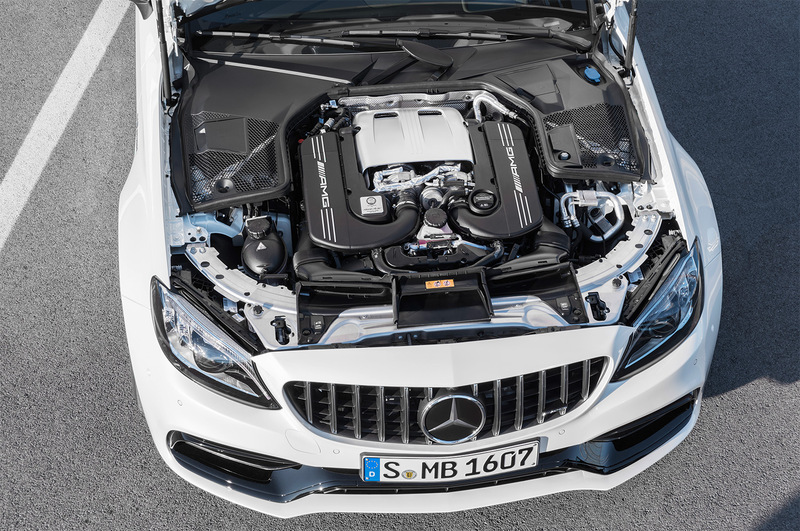 The 4.0-litre V8 biturbo AMG engine puts out 469 hp for the C 63 and 503 hp for the C 63 S. The maximum torque is 479 lb-ft for the C 63 and 516 lb-ft for the C 63 S. Depending on body style, the C 63 S accelerates from zero to 100 km/h (62 mph) in 3.9 seconds. The top speed is 290 km/h (180 mph) for the C 63 S and 250 km/h for the C 63, all of which are electronically limited. 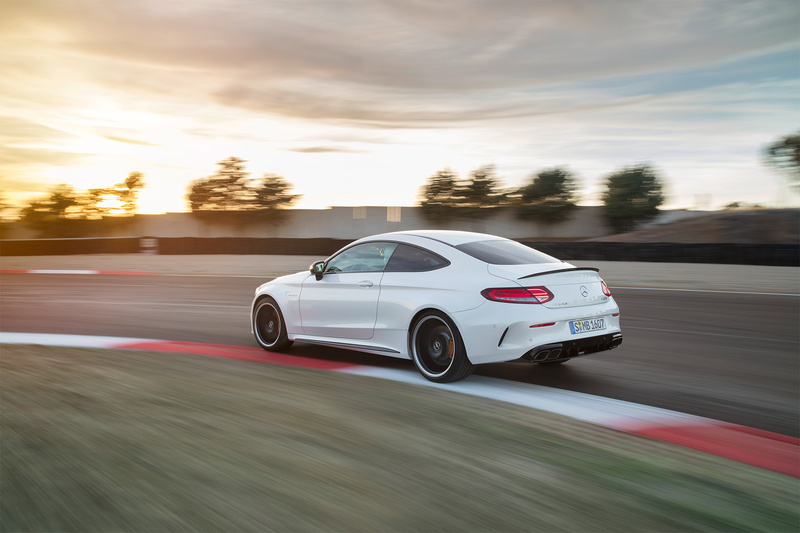 AMG TRACK PACE provides an expanded and more precise scope of functions and acts as a virtual race engineer for recording data when driving on race tracks. AMG TRACK PACE is part of the optional COMAND Online infotainment system. If this function is enabled, over 80 vehicle-specific sets of data (e.g. speed, acceleration) are recorded ten times per second while driving on a race track. There are displays for lap and sector times as well as the respective difference for a reference time. Because specific display elements are shown in green or red, the driver is able to see at a glance without reading numbers whether he/she is currently faster or slower than the best time. After putting in some fast laps, the driver can use the data to analyze and, if necessary, improve his/her driving skills. In addition, acceleration and deceleration values (e.g. 0-100 km/h, ¼ mile, 100-0 km/h) can be measured and saved. Thanks to a newly developed algorithm, which determines the vehicle position as precisely as possible, AMG TRACK PACE even detects when the circuit is left or shortened by using data from the GPS as well as the vehicle’s sensors (acceleration, gyroscope, steering angle, wheel speeds). The data are displayed on the multimedia display, in the instrument cluster, and on the head-up display. Known race tracks such as Nürburgring or Spa Francorchamps come pre-loaded in the system. It is also possible to record new circuits. The map display can be switched from 2D to 3D and updated online. 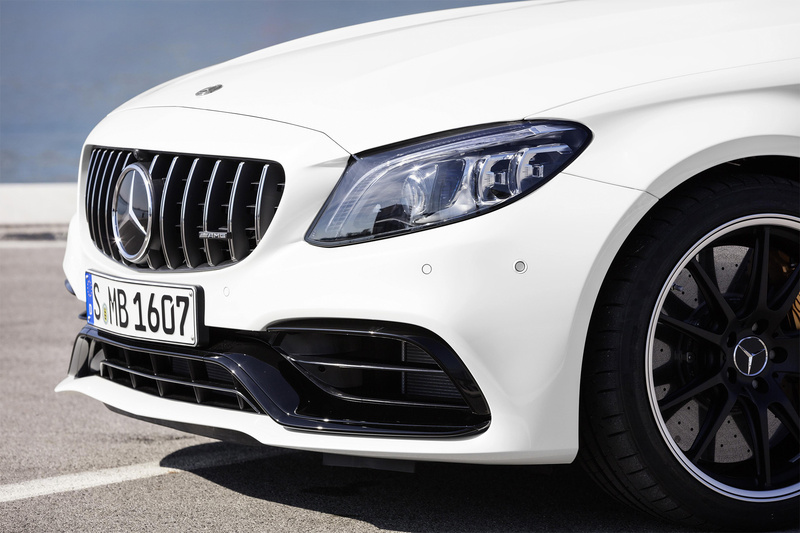 The new C 63’s exterior underscores its affiliation with the performance brand through AMG-specific radiator trim that features vertical louvres in high-gloss chrome. A redesigned transverse fin in the outer air inlets and the front apron’s A-wing design emphasize the vehicle’s width. Side view features include side skirts and AMG light-alloy wheels. The developers aimed for an optimal combination of aerodynamics, weight and brake cooling, for maximum performance and peak efficiency. The C 63 Sedan is shod with 18-inch, 10-spoke wheels while the C 63 S come with 19-inch, 5-twin-spoke forged wheels, both painted in tantalite grey. Depending on the engine, up to six drive programs are available: “Slippery”, “Comfort”, “Sport”, “Sport+”, “RACE” and “Individual”. 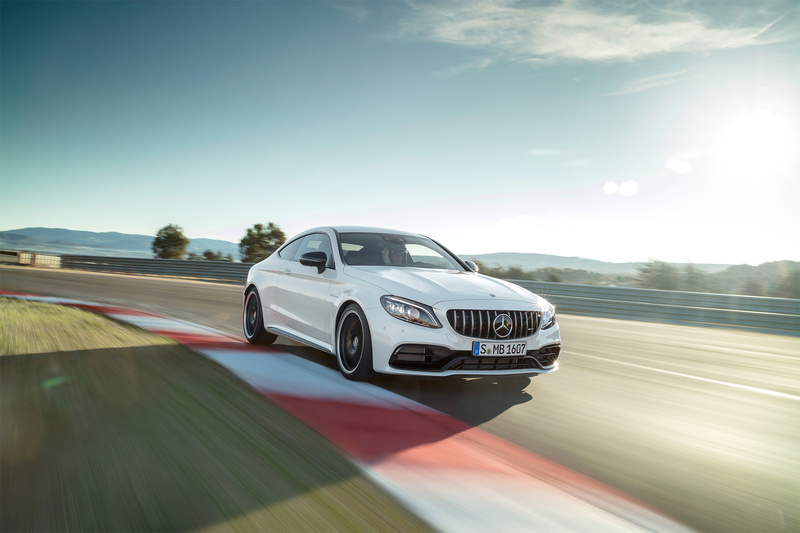 These modes are selectable via the gearshift paddle in the centre console and stored with the new AMG DYNAMICS drive program, which can be more finely adjusted to match the C 63’s handling characteristics according to different demands and driving conditions. The distinct sound of the AMG V8 adds to the driving experience. The C 63 comes with an AMG exhaust system with a variable flap as standard. It is instantly map-controlled depending on the drive program, the power demanded by the driver and the engine speed. The engine sound varies accordingly between discreet/suitable for long-distance driving, and robust/viscerally appealing. An AMG Performance Exhaust System with three selectable exhaust flaps is optionally available for both engine variants, giving the driver an even wider range of sounds. All exhaust systems have been designed to comply with all statutory noise limits, no matter the flap position. New interior options include AMG trim in carbon fibre and AMG trim in matte silver fibreglass are also available. The operating system of the C 63 is versatile and flexible, whether accessing it via touchpad and Controller, Touch Control buttons on the steering wheel, or voice entry. All options are aimed at enabling the control tasks to be carried out as quickly and conveniently as possible. It is available with an optional fully digital instrument cluster with a 31.2-centimetre (12.3-inch) screen which brings the vehicle functions to life with three AMG-specific display styles: “Classic”, “Sporty” or “Supersport”.